Right now we are waiting for new Simon DAVIS Wildlife Art to arrive at the gallery. In the meantime, here is a wider selection of the artist's work featured at the Red Rag British Gallery. Simon Davis was born in Stratford upon Avon, Warwickshire in 1968. Simon Davis studied illustration and graphic design at Swindon college of Art. Following that he worked in graphic design studios between 1989 and 1994. Simon Davis has worked as a professional artist for the last ten years illustrating for contemporary comic books in the UK and the USA. Much of this modern fully painted comic strip work has been syndicated worldwide and collected by Hamlyn in the UK, Egmont in Germany and DC Comics of the USA. Simon Davis has also produced Storyboards for many music videos and TV advertisements including, Levi's, Barclaycard and BBC1 Extra, and illustrations for the BBC 'Cult' website. Simon Davis has recently started exhibiting at modern British art galleries where his contemporary figurative paintings using bold, broad brush techniques are increasingly attracting collectors who appreciate his individual style and subject matter. In 2004 Simon Davis was appointed an Associate of The Royal Birmingham Society of Artists ARBSA. 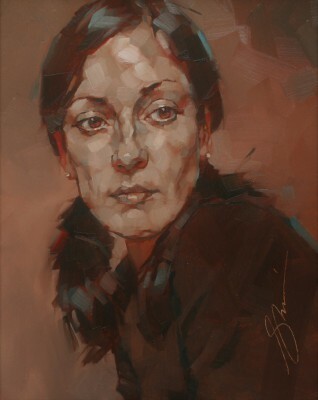 In 2005 he was elected a full member of the RBSA and again won a prize in the RBSA Open Exhibition for a portrait painting of the BBC Midlands presenter Shefali Oza. 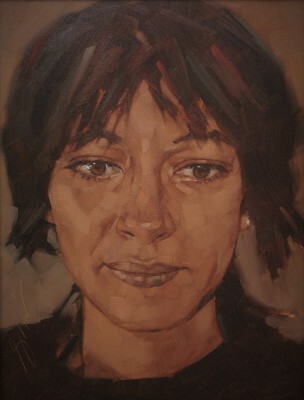 Davis also achieved success at The Royal Society of Portraits Exhibition - see British Art News . In 2006 won another art prize at the RBSA. 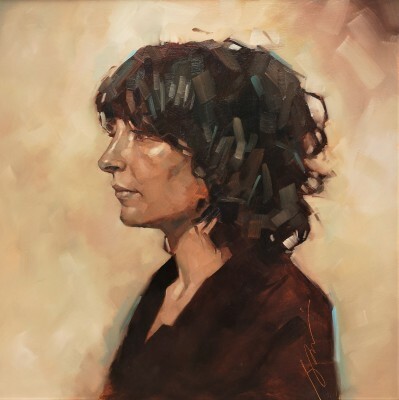 This time it is the Coley Tilley Prize for a portrait painting 'The RSC Wig Mistress'. In 2007 he was appointed to the Royal Society of Portrait Painters(RP) and in 2008 was runner-up in the prestigious National Portrait Gallery BP prize. In 2009 Simon won the Charles Pears Art Award the Royal Society of Marine Artist Annual Show. In 2014 Simon was elected as Vice-President of the Royal Society of Portrait Painters. Simon Davis currently exhibits at Red Rag Modern British Art Gallery and RBSA where he won the Tanner Charitable Trust Prize in August 2004 with his contemporary painting, Sarah and Rosie. He lives in London and is the current Vice-President of the Royal Society of Portrait Painters (VPRP) where he has recently selected pieces for the annual show at the Mall Galleries.